Just as usual this morning we bring to you all the latest transfer from the world of football. Bayern Munich has line-up Chelsea striker Alvaro Morata to replace Lewandowski if he leaves at the end of the season. 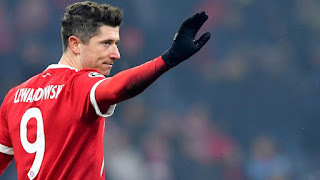 The Poland international has been line-up to replace Karim Benzema at Real Madrid and the Spanish club are doing all they can to bring him in during come summer transfer. Meanwhile, Morata is just in his first year at Chelsea and the Spaniard has not been impressive as many thought he would be. Chelsea might be looking to off-load him and selling him to Bayern in a big money transfer won't be a bad idea. Bayern are also considering Paris Saint-Germain Edinson Cavani and Timo Werner of RB Leipzig as other option. Both London club Chelsea and Arsenal are highly alert has Thomas Tuchel turns down the chance to manage Bayern Munich. The former Borussia Dortmund coach has been linked up to replace current Bayern manager Jupp Heynckes, but he has turned down the offer. He is, therefore, free and both Chelsea and Arsenal are monitoring the situation. Arsene Wenger has over 12 months left on his current contract at Arsenal but he might be sacked if the London club fails to qualify for Champions League at the end of the season. Meanwhile, Chelsea are also likely to sack Antonio Conte at the end of the season. Conte has fallen out with many of Chelsea's board members and there also rumours of him having problems with some of the players. Both clubs will be looking to bring in the highly rated coach and it will be a battle of who will get his signature come summer. 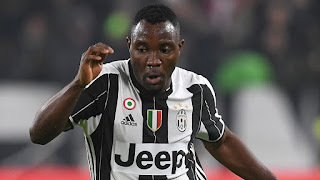 Everton are looking to bring in Ghanian international Kwadwo Asamoah to England come summer transfer window. The Juventus man will be a free agent come July as his contract expires and Everton will capitalize on this to get his signature. Tottenham are also reported to be interested in the highly-rated midfielder and it might a war between them and Everton. Though Everton chiefs have made a firm approach for Asamoah in the past few days, Spurs will still like to try their luck and see if they can convince the Ghanian to sign for them.